This review is about 11 printed pages long. Simply to go inside the fierce exactions of syntax and be answerable. Reading Rachel Blau DuPlessis’s astonishing new collection of essays is a bit like encountering an old friend who’s just returned from a city in a foreign country (say, Venice....or Berlin after the Wall came down). “Look,” she says, “this is what I can show you, this is where I’ve been....” And then she spreads out on the ground blistered, discolored maps, some faded marbleized pages from a leather bound book of poems, a few shiny coins, pieces of colored glass, and points down to everything she’s arrayed before you and says, “Here, take a look.” Part guidebook, part essay in survival, part exile’s account, part resource for all of us living through another epoch of ‘dark times,’ DuPlessis’s discussion of our acculturated, languaged, existences offers a hopeful, if cautionary, view of where we are, of how we came this way and where we might, potentially, go next. The form of the book is the collection, broken into four formally discrete but thematically overlapping groupings of essays: ‘Attitudes and Practices’, ‘Marble Paper’, ‘Urrealism’, and ‘Migrated Into’. Each essay here (the earliest piece dates from 1991, just after The Pink Guitar was originally published, the most recent from 2004, all heavily revised for their appearance here) reflects DuPlessis’s ongoing commitment to a pluralist writing practice, finding in what she terms the ‘postpatriarchal essay’ a resonant room within which to work: ‘It is a method of the passionate, curious, multiple-vectored, personable, and invested discussion, as if a person thinking were simply talking in the studio of speculation, grief and utopia’ (3). Blue Studios is the product of that conversation, one that DuPlessis has been having with herself and her work and with modernist and post-modernist companions whose presences vitalize and engage throughout these pages — staring back at us from the materiality of language. What comes forward through each of these essays, gathered from nearly twenty years of writing and unstinting productivity (a word with singular application for DuPlessis, a poet-scholar-professor whose work in each sphere enhances/enriches the other) is the weight, the durability of a visionary poet(h)ics that wants ‘historical depth; critique of convention; scrupulous, moving, and invested language; poems saturated with a generous understanding of other practitioners’ (11). It is a struggle that has transpersonal consequences, insofar as each of us is saturated in cultural and socio-historic circumstances that more often than not blind us to what is present, real, necessary to say. How do we get there? From here: this muddied, beaten up, sometimes indifferent, sometimes inadequate landscape we inhabit most days. With utopic fervor and elegant repositioning of the ideologies (racial, sexual, political, poetic) that dominate and inhibit our cultural consciousness, DuPlessis provides us here with a deeply humane — which is to say, public — account of the linkages between writing and feminist inquiry. These essays probe the connects and disconnects, the ruptures, repulsions, signatory arrivals and departures, the risks and strategies involved in discovering a language of adequate statement. No easy task. What do you want? What’s enough? “The point is,” DuPlessis reminds us, “poetry is intellectual work, criticism is poetic work, and if these do not come as a necessity — a personal and cultural necessity — what good are they? (30, ‘“Reader, I Married Me”: Becoming a Feminist Critic’). It’s a bold repositioning, still, in 2007. “Activated women, produced in and by, but also producing art.” I recall a conversation with DuPlessis in her office at Temple University in 1994, in which she was describing to me the experience of going to see a film (I forget which one, but perhaps it doesn’t matter), and she said with a kind of rueful laughter, ‘So I pay my money and I go into the theatre and I look up at the screen and see myself up there and think to myself, “There I am and there I am again.”’ I understood what she meant at the time. Sort of. In fact, it had never occurred to me to think of myself in such terms. Normative ways of looking vs. that moment of recognition — followed by reactions ranging from suspicion and confusion to anger, or simply fatigue with the same old. Like, ‘Is that really me? Well, what’s new there..’ An uncanny and deliberate re-seeing in Western culture’s gender-laden hall of mirrors. 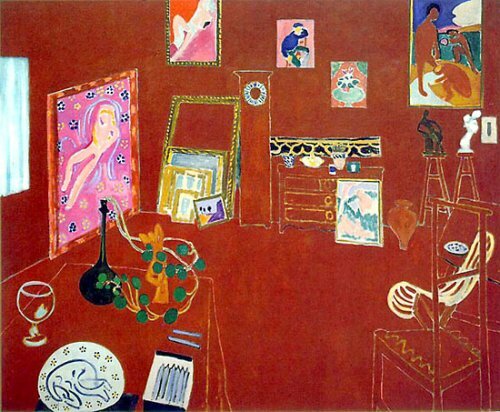 In certain ways, it’s a similar experience to the one DuPlessis records in her remarks on Matisse’s ‘Red Studio’: Oh, there we are....what are we doing there? And why? And for whom? Like Robert Duncan in The H.D. Book or Robin Blaser in his essays (though with rather different cultural incentives, different aspirations and actions upon the world), DuPlessis takes the heterogeneous, inter-generic as first fact of composition. Again, there is a deeply held ethics to this approach: a refusal to demarcate, border off, cordon the work into the province of one or another identifiable category (thus the shift into poems, the turning of the voice back on itself in a reflexive moment of auto-fictive inquiry). The markers of ‘poet’ and ‘scholar’, hyphenated to read: poet-scholar, acquire a rather different, less stable meaning here. For if the work represents writing from different subject positions, DuPlessis manifestly adheres to a model of discourse that is dialogic in nature. Poems respond to essays (poems in essays) respond to criticism and back again in a process that has no clear boundary, no set beginning or endpoint. It is, to use Barthes’s useful term, writerly work. With readerly pleasures. Feminism represents the ethical life-spring of this task: an unwavering investigation of cultural history. As defined here, feminism ‘means struggles for gender justice in the context of social justice’ (50). DuPlessis isn’t seeking a utopic idealized state of gender equity (though there is a euphoric tenor to some of the remarks here, a hopeful recognition of where these struggles might eventually lead, the world we may yet construct, somehow), but a reinvigorated reconsideration of how feminisms work now: the histories they’ve established, the credos and politics they’ve instantiated, the plurality of their hard-won oppositions and interventions. In ‘Blue Studio: Gender Arcades,’ DuPlessis uses the model of Walter Benjamin’s ‘Arcades’ as a strategy to explore culturally enforced strategies of reading and making texts. Making reference to the formative work of Butler, Cixous, Irigarary, et al., DuPlessis marks the site of gender as itself multivalent, porous, multiply arrayed and legible as cultural datum. Feminism, as she delineates it, ‘is a capacious, historically mobile term filled with its own intellectual and political debates, filled with the tugs and pulls of other social-subject locations… So the questions: what feminism, where, facing what, defined by what, responsive to what, blind to what, hostile to what, benefiting whom, used by whom’ (53). This profusion of questions, of positions investigated, agendas dissimilated, refuted, rewon, cast aside, thought through again and again comes to us via a rhetoric of considered humility and egolessness. For as DuPlessis remarks on her ongoing serial poem, Drafts, this work isn’t ‘personal’ in the culturally conditioned sense of the term. Rather, it is a kind of critique that asks again and again, ‘Where can we stand?’ and, following from that, ‘What can our writing say or make of this?’ (188). Digging out. Digging up. Digging across the field. Once you start, you recognize how far down there is to go, how much work to do. Recalling her 1971 immersion in Kate Millett’s Sexual Politics, DuPlessis writes that she understood then that ‘all culture from the very beginning would have to re-seen with feminist eyes. Everything would have to be remade — all cultural products, all fields — name them!’ (49) This fervor — political and social in nature — requires a certain patience, a certain stubbornness, and, notably, a faith in the ability of one’s projects to move us perhaps a bit closer to equality across the board. ‘Ever since, I have been doing what I could. It’s not euphoria or fashionableness. It’s more like Conviction’ (49). Unpacking that ‘should’ involves turning that question back on male writing that has been deeply invested in the muse (gendered female). Writing methodically through several layers psycho-sexual and literary history to get at the deeply constructed nature of our cultural attachment to muse figures, ‘Manifests’ offers revisionist readings of Allen Grossman’s persuasive and problematic tract, ‘Summa Lyrica’, and Charles Olson’s poetry and poetics as they relate to Frances Boldereff, the silenced partner/muse figure and ‘ear’ to Olson throughout the early, formative years of his career. In the case of Grossman, DuPlessis offers a sympathetic, while at the same time critically resistant, reading of the compacted, heavily paternalistic ‘instructions’ of his ‘Summa.’ As she suggests, ‘one is treading the vatic waters of an oedipal narrative, tempting, resonant, and powerfully interpretive, displacing other ways of reading the access to words and the vocation it discusses’ (78). Intervening in this narrative forms the symptomatic basis of DuPlessis’s reading — one that asks, if you will, for a different, less oppressive theory of poetic production and value, a less primogenitive, more socially democratic model that would invite play, agency, mutuality. With Olson, rich territory for gender readings (see work in this vein by Michael Davidson, Sharon Thesen, Mossin), DuPlessis establishes clear linkages between the ‘gendered exhortations’ of Olson’s key document in poetics, ‘Projective Verse,’ and his ‘vivid and explosive, sexual and intellectual, and poetic relationship’ with Frances Boldereff at the time of this document’s initial drafting. As the letters between Olson and Boldereff clearly reveal (published in 1999 as Charles Olson and Frances Boldereff: A Modern Correspondence and edited by Ralph Maud and Sharon Thesen), Boldereff’s contribution to Olson’s thinking and writing became fundamental to his post-humanist poetics and the early poems that helped establish his reputation. DuPlessis artfully and, again sympathetically, teases out the ways in which Olson’s dependence on Boldereff as his ‘ear’ or helpmeet and Boldereff’s role as cooperative, persistent genius sister-muse allowed Olson to develop as he did: ‘[Boldereff] was that through which Olson became himself’ (88). Repositioning the relationship to allow for a much more nuanced view of Boldereff, a figure cordoned off for decades in the scholarship, DuPlessis enacts a materially based, gender reading that probes the ideological basis of Boldereff’s choices: ‘Boldereff’s tremendous usefulness to Olson and her effacement emerge from a specific gender ideology, one allowing her the option of pouring her intense hopes over and into him, as the great soul she selected, as the male destined to be sparked by her ideas, as the one who could make those ideas active and credible to the world’ (88). What emerges from the letters and documents sent by Boldereff to Olson, such as her formidable and culturally haunted ‘A Primer of Morals for Medea,’ are ‘the agony of ambivalence, along with a tragic acceptance of what she takes to be her tragic flaw — female gender’ (88). It’s not going too far to suggest, as DuPlessis does here, that for every Olson we are likely to find (or not) a Boldereff. There. And not there. A fissure or gap that tells another history of poetry, radically different (and far more troubling) from the one we are likely to experience in the culture-at-large. Lyric beauty, it might be said, relies heavily upon this arrangement, this kind of cultural silencing, and creates for the poet seeking to work outside of normative gender protocol a problem with no easy answers — and many hard ones. Attracted to the “female ‘ghosts’ haunting poetry’ (76), the murk and marked surfaces of those traveling alongside, unseen, almost, unheard, almost, the poet working through this culturally messy setup has certain options: abandon poetry altogether or write in such a way that the conventional pleasures and enticements, the glamors of lyric poetry, its pathos and figuratively alluring signage, are removed in the process. What’s left? What’s worth keeping? DuPlessis’s approach, moving us toward a rigorous rethinking of the impasses of lyric (the haunted house of poetry we still dwell within), suggests a plural, socially engaged terrain of feminist inquiry, shared by sympathetic writers and readers, women and men, whoever chooses to take up this work. A kind of cultural tautology emerges, burdensome, difficult to ignore, necessary to explore — and explode — from within: poetry and its representations mean a certain kind of elaboration of the feminine and masculine, a certain kind of dependence on narratives that gives voice, priority, spirit and form to the latter, not the former. But why does it have to be this way? Who says? (Well, looking up for a moment and pulling down the Norton Anthology of Poetry from the shelf, there are, to put it mildly, a lot of models...a lot of voices saying just that...) What if, though, ‘“poetry” as a formal medium does not depend on anything like these stories and may be agnostic to them’? (94). What, then? The history of feminist responses in poetry has been accumulating steadily over the last 30 years: Kathleen Fraser, Lyn Hejinian, Susan Howe, Harryette Mullen, Beverly Dahlen, Barbara Guest, Juliana Spahr, Jena Osman, Kristin Prevallet — these and many other writers whose artwork documents what can be done, what is being done. As DuPlessis’s supple, forward-looking readings of Lorine Niedecker and Barbara Guest suggest, one’s choices as a writer always bear the marks of traditions that are not ever easily disentangled from poetic production and the ‘mythos’ of the woman artist doing the work. By enfolding these and other writers within a feminist reception, her term, and a vital one, alert to ‘the tremors of dissemination’ and the erasures and stoppages along the way, these essays suggest a cogent model of inquiry with huge implications for all the work we may do as writers and teachers and scholars. The agenda is, at the very least, multi-focal. Reading against the silences of literary history and ensuring a polyvocal space of inquiry that ‘puts no limit on the nature of the work’ (166), Blue Studios asks us to consider the struggle ‘otherhow’: as a fundamental part of related struggles for social equity and historical justice. Acknowledging where we are, how we got here — its contemplations and crises — amounts to a kind of credo: to investigate, at all costs, the ‘persistent gender narratives of poetry’ (95) and ask, at every turn, How else? Not to do so constitutes an act bad faith by all of us who remain committed to the production of a humane, politically just social world in which to work, live, love. Blue Studios closes with essays that meditate on poetic practice, specifically related to DuPlessis’s work in Drafts over the last 20 years roughly. The materials here, spanning the years from 1992 (‘On Drafts: A Memorandum of Understanding’) to 2004 (‘Inside the Middle of a Long Poem’) situate the reader in the working ‘blue studios’ of mind and heart that have been the central locales, the inspirited spaces, of DuPlessis’s ongoing work in poetry, criticism and scholarship. Without sentimentality or self-aggrandizement, but a keen awareness of how little gets through — and the importance, therefore, of doing one’s best at every stage — DuPlessis offers a version of poetic practice and belief in a cultural setting wherein the exact opposite view finds continued support: ‘I cannot romanticize poetry. It is hard to make up words about it. Poetry is the creation of a necessary object made in and of lines of language’ (209). Not romanticizing, remaining objective, clear, open to what comes: these are the incentives of a practice that has much to teach each of us at any stage of career or writing. And again, one must appreciate the marginal status of such inquiry in the culture ‘out there’: the investment, heavy — devastatingly real, documented in 90% of what passes for poetry in the contemporary zines and mags and the major trades — in work stripped of its adventurousness or formal risk. Interestingly, these essays do not speak (directly) of DuPlessis’s work as a teacher and mentor. And these last pieces are, from the get-go, teaching texts, meant to goad, inspire, cajole, confront, assuage and redress. If the studio is metaphor for poetic and critical practice, the writing workshop and the tutorial suggest two related and embedded locales of production. A communal space that marks the site of poetic vocation, and provides an argument that lingers deep within one’s bloodstream, pulsing at the root: Do you need this? Why do you need this? What will it do? How will it help? ‘On Drafts’ first appeared in a journal I co-edited with Seth Frechie from 1992 (roughly) to 1996, TO: A Journal of Poetry, Prose + the Visual Arts. I mention this not to make some claim on the work, but to offer one story of community: one model of the social within the realm of poetry. The journal — whose name was drawn from Charles Reznikoff’s To Magazine of the 1930’s — grew out of conversations between Seth and me during the spring of 1991, while we were participating in a workshop with Rachel as part of our work in the Creative Writing Program at Temple University. Rachel made us aware as no one else did of the incentives and problematic nature of poetic communities, their necessity and culturally factual presence, as part of literary histories we wanted both to engage and participate in. It isn’t going too far to say that Rachel taught us something fundamentally inspiriting about the ways that poetry and collectivity can foment change, intervene, process new work, propose alternative ways of reading, writing, getting the job done. As the subtitle of ‘On Drafts’ suggests, the essay is a memorandum to (her)self, one that participates in its own scholia and exegeses of poetic texts: explanatory, allusive, objective, factual, flickeringly autobiographical: ‘Structurally, the works are linked by subtle forms of repetition, presenting the reader with sets and bits of recollection, or the evanescent sensation of déjà vu, its rhythms of gap and recall’ (215). Memory, its erasures, lesions, deployment and entanglements, is as much a structural motif of this work, as it is a thematic grid: impersonal, social, autographic, engendering, gendered and fraught: ‘I have lived for many years, with the losses of shadowy memory. Mourning for it. But in the poem I found that I was building the space of memory or a replica of its processes. There is a repressed and barely articulated grief — the extensive killing that has formed the places in which we reside’ (213). The poems accumulate as responses to that history, as both reprieve from trauma and its accompaniment: leading us over the stones of cultural violence and injury, the multiple patterns of forgetting and remembering that ‘flood this site / a well of muted consciousness’ (‘Draft 27: Athwart’). both by the living, and by the dead. 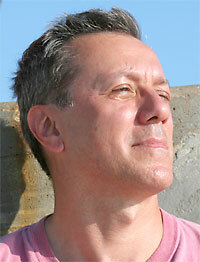 ‘One just writes as best one can,’ DuPlessis tells us. ‘The vow is simple, though it may have taken years to recognize: to work in one’s time. Time and history are the situation and ground; work is the medium and the response’ (217). Halfway through a life’s work, we pause, look up. In awe of all that’s here. Copyright Notice: Please respect the fact that this material is copyright © Andrew Mossin and Jacket magazine 2007; it is made available here without charge for personal use only, and it may not be stored, displayed, published, reproduced, or used for any other purpose.